When more living space is needed in cramped urban conditions where every last square foot of land is spoken for, there’s literally nowhere to go but up. 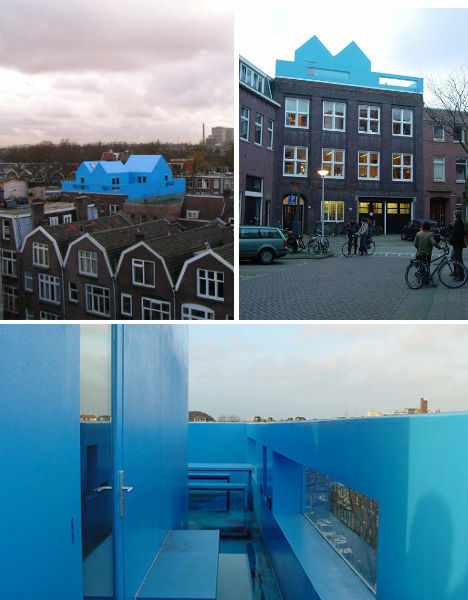 Luckily, flat city rooftops offer the ideal space for creative lofts, pods and unusual additions, whether temporary or permanent, prefabricated or carefully custom-designed to fit in with older surrounding architecture. 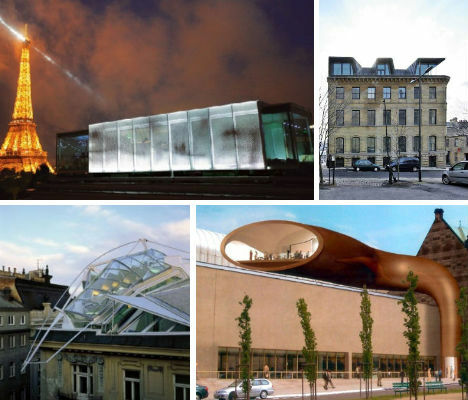 These 11 rooftop additions & expansions make a sharp juxtaposition perched atop museums, Victorian warehouses and metropolitan skyscrapers. 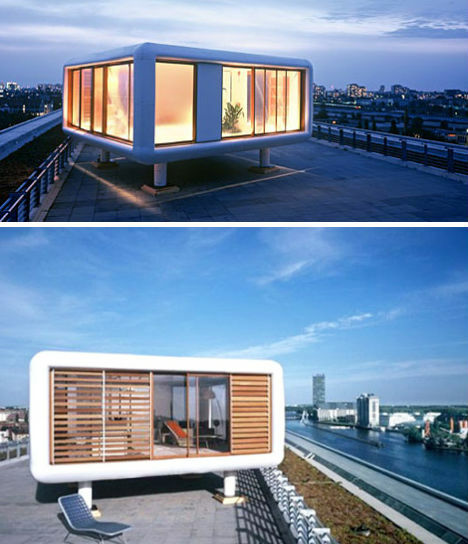 Want to add a room to your rooftop? The easiest way to expand upwards is with a Loftcube, specifically designed for rooftops and transportable by helicopter. Sleek and ultramodern, with lots of glass and a surprisingly roomy interior, the Loftcube could potentially provide low-cost, eco-friendly tiny living with an amazing view. 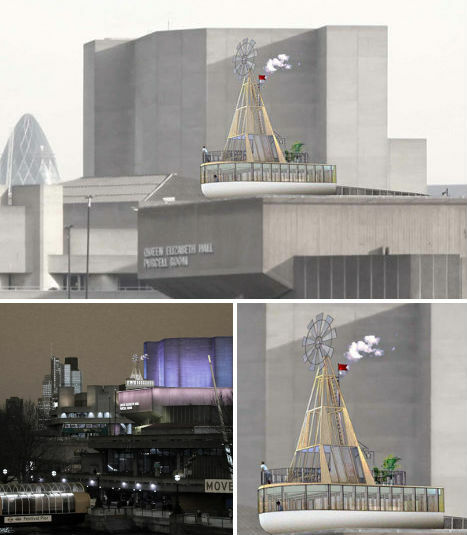 It may look like an unlikely concept design, destined to live an ephemeral existence on paper, but this boat-shaped rooftop prefab is coming to the Southbanke Center in London in 2012. Chosen as the winning design for ‘A Room for London‘, it will serve as a temporary self-contained hotel with an expansive view of the Thames. For nearly two years, Hotel Everland graced the rooftop of the Palais de Tokyo in Paris, giving guests a view of the Eiffel Tower unlike any other. 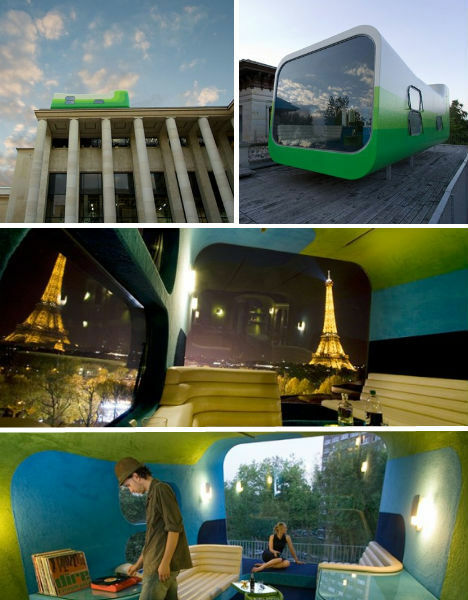 A modern pod created as an art exhibit, Everland traveled to various European cities before it was retired in 2009. Months after the Hotel Everland made its way back home to Switzerland, a new prefab rooftop structure took its place – Module Electrolux, a pop-up restaurant. 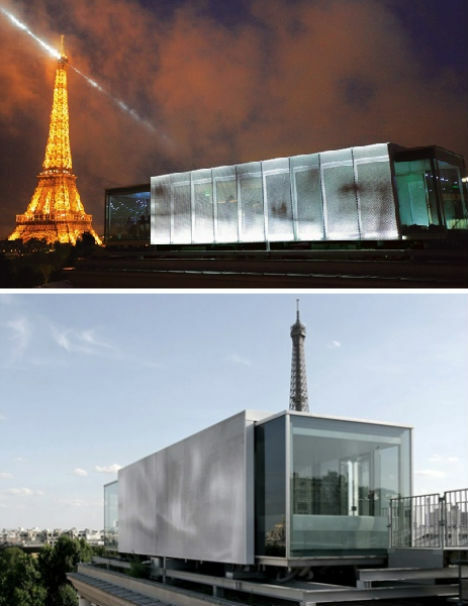 Architect Pascal Grasso designed this glass rectangle, covered with a metallic skin in the center, as a temporary building that would be easy to set up and remove. It housed a twelve-seat dining room serving Japanese food. 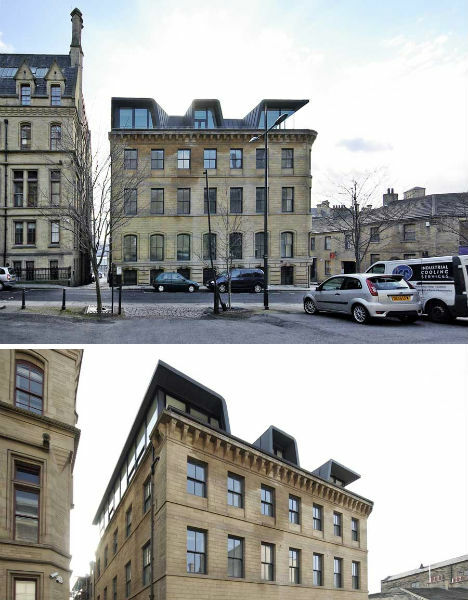 Passing a standard Victorian warehouse in Bradford, England, something unusual catches your eye: that’s no ordinary rooftop for a building of this type. Indeed, architects Kraus + Schoenberg gave the roof expansion a modern sculptural look that contrasts nicely with the aged brick below it, yet still meshes with the building next door. 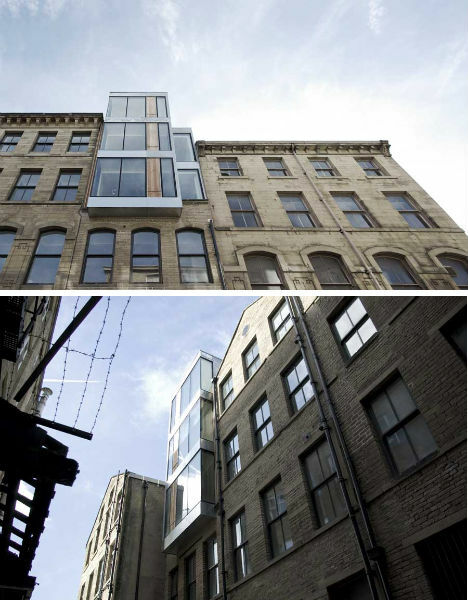 The same architecture firm tackled an interesting project in the Little Germany building of Yorkshire, England, filling in a gap between two Victorian warehouses with a glassy modern extension, hung from a steel frame so as not to put too much strain on its aging neighbors. “By creating its own architectural language the glass, galvanised steel and timber structure can be seen as a separate entity. This allows a continuity of the industrial character of Little Germany,” say the architects. 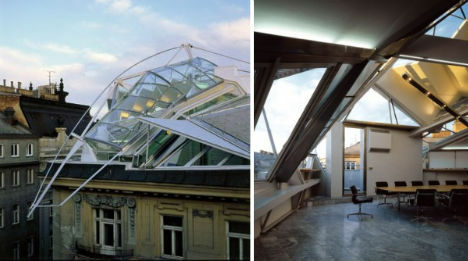 When a law firm in Vienna, Austria wanted to extend its office upward, architecture firm Coop Himmelb(l)au envisioned “a lightning bolt reversed and a taut arc.” The resulting design, with a steel backbone that allows it to perch lightly in a very tight space, has come to define the firm’s aesthetic preferences. Resembling a white bird, the iconic and much-debated extension makes no attempt to blend in. There are few places in London where a family of six can enjoy enough space to sprawl out – unless, that is, you’re willing to pay millions, which Zad Rogers and Lucy Musgrave were not. The couple took a novel approach: building a 2,800-square-foot glass home atop a Victorian warehouse. Rogers’ father, Pritzker Prize-winning architect Richard Rogers, designed the new apartment, which hangs from a steel frame bolted to a system of peripheral concrete beams on the warehouse’s roof. Five Franklin Place has languished in construction limbo for years thanks to the recession, and according to new information from ArchDaily, the dramatic design intended for it will never come to be – instead, it will be a simple brick and glass structure. 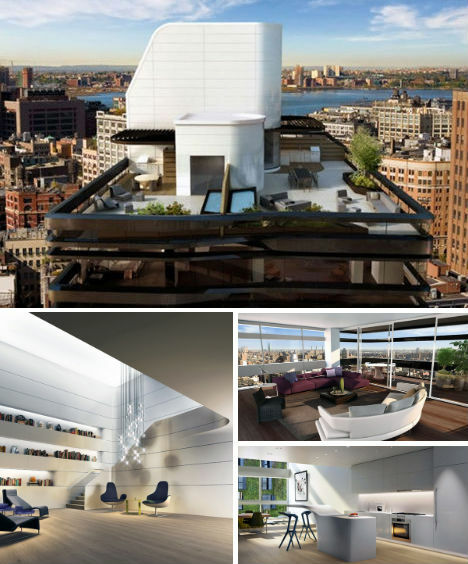 While New Yorkers were divided on the aesthetics of the project, one element will definitely be missed: the cute little rooftop loft, a work of modern art with high ceilings, two-story windows and a mezzanine suspended above a 20-foot-high library/gallery space. 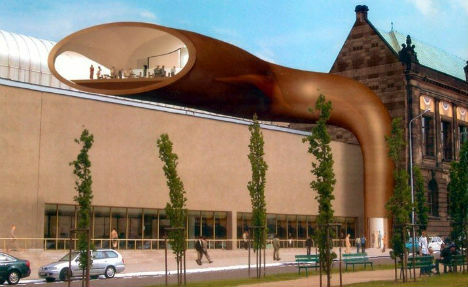 Planned but never realized, this odd funnel-like rooftop structure was meant to be an extension of the National Museum in Poznan, Poland. 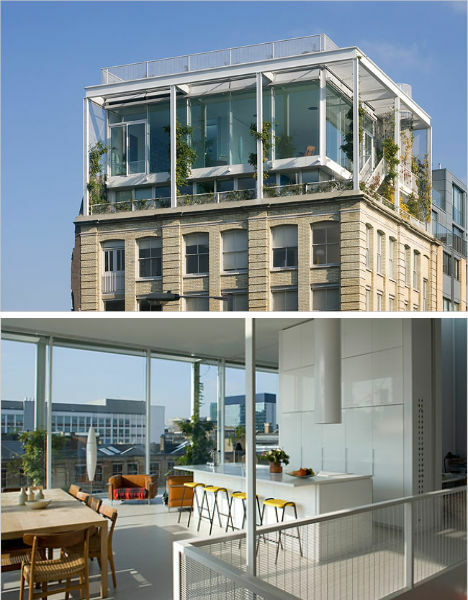 Architect Claudio Silvestrin designed the extension as both a new rooftop gallery and a means to get there, presumably with an elevator carrying visitors upward from the ground level.